From ice to sea to land to shore! and you had grown cold. (The ancient gestures towards the video. Awe inspiring music). Or let the last one turn the lights out! (In blackout she moves to another position. Lights up). An extract from the prologue of Moj of the Antarctic: An African Odyssey by Mojisola Adebayo. Mojisola Adebayo is a British born, Nigerian / Danish performer, playwright, director, producer, workshop leader and teacher. Over the past 20 years, she has worked on theatre projects across the world including Antarctica, Botswana, Brazil, Belgium, Burma, Canada, Finland, Greenland, India, Ireland, Lebanon, Malawi, Mauritius, Norway, Pakistan, Palestine, South Africa, Sri Lanka, Syria, the USA and Zimbabwe. She has acted in over 40 theatre, television and radio productions, scripted, devised and directed over 30 plays and has lead countless workshops and training courses. Her wide and diverse work has ranged from being an actor with the Royal Shakespeare Company to co-founding VIDYA, a slum dweller’s theatre company in Ahmedabad, India. All of her work is concerned with power, identity, personal and social change. Having trained extensively with and also worked alongside Augusto Boal, she is a specialist facilitator in Theatre of the Oppressed, being invited to work particularly in areas of conflict and crisis. 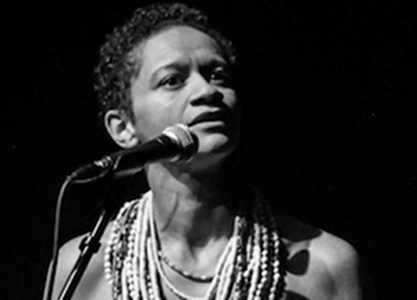 Mojisola also teaches in the department of Theatre and Performance at Goldsmiths, University of London, at Rose Bruford College and is studying for her PhD at Queen Mary University of London. Her first commission was Desert Boy (Nitro, Albany and national tour). 48 Minutes for Palestine, a collaboration with Ashtar Theatre Palestine, is now touring all over the world. The Listeners, a play for young actors, commissioned by Pegasus Theatre Company, in partnership with The Samaritans (Oxford) premiered in March 2012. She was a Writer-on-Attachment with Unicorn and Birmingham Rep where she wrote Asara and the Sea-Monstress, her first play for children. I Stand Corrected, created with Mamela Nyamza and commissioned by Artscape, South Africa, premiered in Cape Town in August 2012 and played to rave reviews at Ovalhouse in November / December 2012. The show comes to the Soweto Theatre in 2013.